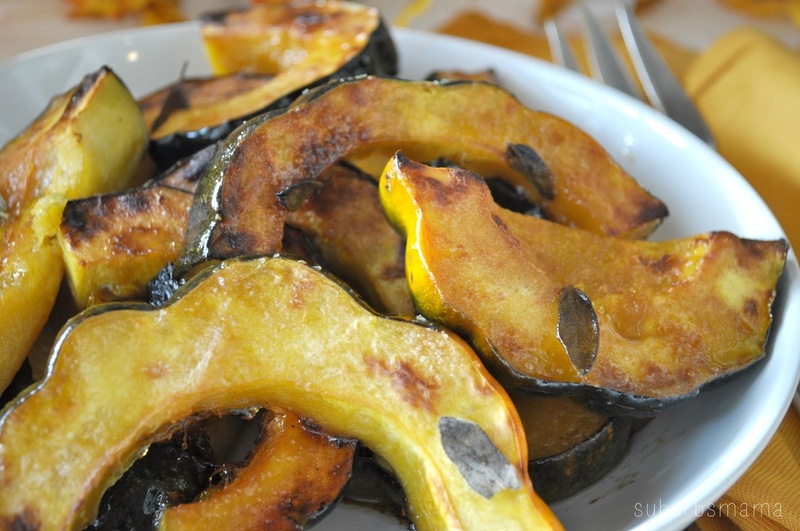 I love roasted squash, I usually make butternut squash, but this time I decided to try acorn squash, and loved how it turned out. It looks so pretty with the skin on. It is sweet, salty with a kick of sage. This would be perfect for thanksgiving or yummy side any other day of the week. Split the squash in half and scrape out the seeds with a spoon. Cut the slices up and lay out on a baking sheet. Drizzle with olive oil and sprinkle with salt and pepper. In a bowl, cream the butter with the sugar. 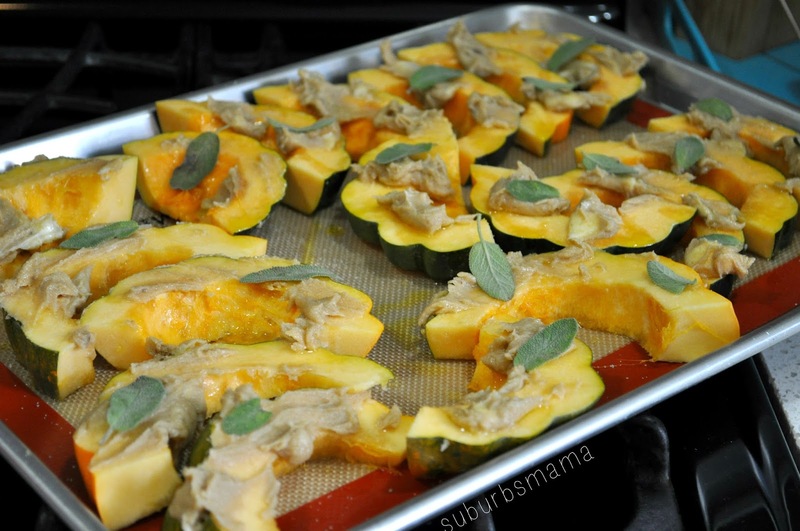 Spread all over the squash, place 2 sage leaves on each piece of squash. I broiled the squash for 10 minutes to caramel the sugar.